Itamar Medical is a medical device company which develops, markets and sells diagnostic medical devices based on the PAT (Peripheral Arterial Tone) signal. The PAT signal is a non-invasive "window" to the cardiovascular and the autonomic nervous systems.It has been found in recent studies that Endothelial Dysfunction (ED) is the major factor that assesses cardiovascular risk, and reciprocally, that ED is the earliest clinically detectable stage of cardiovascular disease. 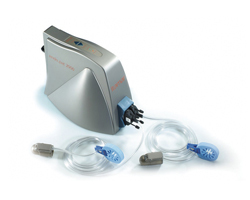 The EndoPAT 2000 provides a window to the current functioning of the endothelium and the overall health of the heart, and offers early stage diagnosis, upto 7 years before a cardiovascular adverse event takes place. It’s the only medical device indicated for use in endothelial function assessment. It is non-invasive. A standard blood pressure cuff and finger probes are easily put on and removed. Testing is quick and easy. 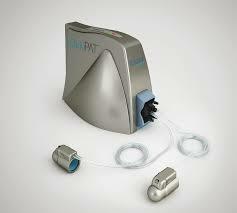 EndoPAT test takes 15 minutes. The device provides reliable and reproducible results. Growing scientific literature includes more than 180 EndoPAT publications in peer-reviewed abstracts and joujournals presented in major conferences.